I do not really know anyone from the army, so this book really fascinated me and there was a newly found respect for the 'jawaans' after reading this book. It is a easy to read, interesting, fast paced book and I finished reading it in a matter of hours. 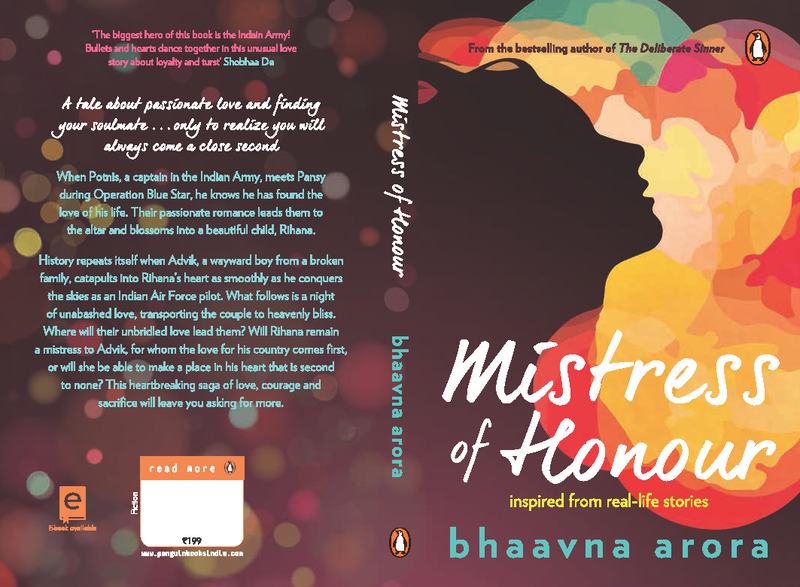 Written by Bhaavna Arora and inspired from real life stories, it is a captivating romantic and thrilling novel. I would really want to know which parts are based on real life events! The story has two parts. First Pansy's love story followed by her daughter Rihana's. I personally liked Pansy's story more than her daughters. You even get to know about the history of wars in our country, and I like the humour elements like Shamsher & Potnis's friendship or Advik and gang's schooling days. You can grab a copy on Flipkart, Amazon etc. I now am looking forward to reading the previous book written by Bhaavna - The Deliberate Sinner.